Blog When Should a Beginner Start Sparring in Muay Thai? The first time you start sparring can be super intimidating, especially when you don’t know what to expect. The unknown can be scary for many people. Most beginners think of sparring as a real fight, which in some ways it is. The better you are at sparring, the more success you will have preparing for a real fight. Beginner sparring is always a big step when you’re starting your Muay Thai training, that’s why The MMA Guru is here to help you with your journey. It’s important to note that no one should ever force you into a sparring session if you’re not comfortable, especially your trainer. If you’re only training Muay Thai to get a cardio workout and burn some calories then sparring isn’t necessary and you should continue with your method of training. Sparring can be dangerous depending on your skill level and the skill level of your sparring partner. Okay so you think you’re ready to spar? Well first things first; get your instructors approval. Out of respect for your instructor you should never engage in any activity that hasn’t been pre-approved. Sparring can be a dangerous activity, your instructor should only let you engage in beginner sparring when you’re ready. Some instructors will be more lenient than others and allow their students to spar sooner than later. This is completely fine, as long as you believe you’re ready and your instructor believes you’re ready. 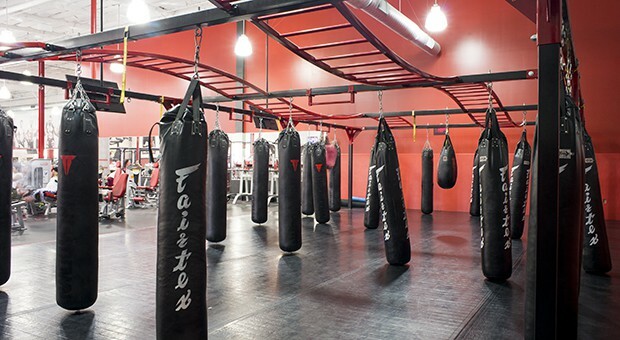 If you plan to start sparring outside of class, make sure to ask your instructor if he thinks you’re ready to spar. Normally your instructor will assign your sparring partner, however if he doesn’t make sure that you communicate with your partner that you are new to sparring. Usually a beginner sparring session involves light sparring at 10%, 25% or maybe 50% power. This means that you’re holding back a good majority of your speed and power so that you don’t injure your sparring partner, this also gives you the chance to work on your technique. Always remember that you’re sparring to try out your techniques under pressure to make them more effective in a real life situation. The gym is not a proving ground, but rather a safe environment where you can learn and grow. This means it’s a great chance to improve your fighting technique, not an opportunity to hurt your training partners. Stand up sparring is the equivalent to “rolling” in jiu-jitsu, always respect your sparring partner. What makes a good sparring partner? – Not trying to “Win” or hurt your opponent. You’re there to learn from each other, don’t hurt your opponent. – Not avoiding those who are better than you. Experienced sparring partners are so important because they will actually help you become a better fighter! Never shy away from a challenge. – Don’t dominate weaker opponents. Don’t always be on the offensive against newer fighters, this is a great time to work on your defense! 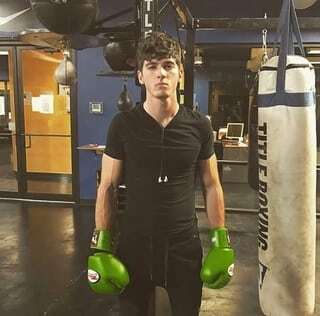 – Go at the same pace as your sparring partner. If they are going 10%, you should also go 10%, and etc. I can’t stress this enough, wearing the right equipment will drastically improve the safety of your sparring session. Always wear 16oz gloves when sparring. We have an article “The Best Boxing Gloves for Beginners” and most of these gloves include a 16oz pair. I always recommend wearing 16 ounces when sparring, especially for beginners. The reason you wear heavier gloves when sparring is so that your opponent doesn’t feel the full force of your punches, and vice versa. These boxing gloves are the best that Venum has to offer. With over 20 professional designs (including the Mexico and Italy flag colorway), these gloves are the most stylish on this list. If you’re a sparring beginner who is serious about boxing or kickboxing, these are the gloves for you. They might be more expensive than any other glove on this list, however they are the highest of quality. The Twins Special Boxing Gloves aren’t just for Muay Thai and Kickboxing. These gloves are specifically made for hard training, perfect for sparring. The heavier gloves provide for a rigorous workout and the attached thumb design prevents injuries. The Twins Special are great boxing gloves for sparring. Another necessity with Muay Thai sparring is wearing shin guards. Shin guards will allow you to kick your opponent while minimizing injuries to your shins and maximizing your partners safety. There is a huge risk when sparring without shin guards, it’s always better to be safe than it is to be sorry. We also have an article that goes into even more detail regarding Muay Thai shin guards. The Sanabul Essential Hybrid Shin Guards are great for a beginner training Muay Thai. With enhanced protection, Sanabul one piece high-impact protection foam was specially developed to protect your shins during sparring. Articulated in-step padding ergonomically contours to your foot. No need to keep adjusting shin guards during training. Neoprene slip on design with top leg fastener and proprietary Mid leg fastener ensures a comfortable fit and minimizes shin guard movement. Sizes in children and adult. The Venum Kontact shinguards are perfect for light sparring. These shin guards are 100% Cotton, which also means they are machine washable! The Venum Kontact is strategically reinforced to insure more protection for your shin and foot. With a velcro closure for a customized no-slip fit, these shin guards are very comfortable. The Fairtex Competition shin guards are my favorite on this list, which is why I currently use them in my sparring sessions. They have an amazing amount of padding that is perfect for protecting your shins. It’s not too much padding to the point discomfort, but just enough so that you feel protected when wearing them. These bad boys are homemade in Thailand so you know they are high quality Muay Thai gear. Headgear is always an option for a sparring session. Headgear offers extra protection for a beginner, I personally don’t currently wear headgear in sparring, however I do believe it can be beneficial for beginners. If you decide to purchase headgear for your sparring sessions make sure that it’s high quality. Need more headgear options? Visit our ultimate guide to headgear! Sanabul Essential Head Gear provides excellent coverage and protection for the face and head while training or sparring. Whether you are training boxing, kickboxing, mixed martial arts, karate or tae kwon do, this head gear is perfect for you. This is great for beginner sparring in Muay Thai. The RDX head gear has Shell-Shock technology with foam padding for high-intensity shock absorption. The RDX head gear includes shock absorbent gel tech integrated padding for ultimate protection, safety and efficiency. This specific set of headgear has four different styles to choose from: Red, Black, Blue, and Pink. Last but not least, you’re going to want to purchase a mouthguard to protect those pearly whites. I personally always wear a mouthguard when I’m sparring in Muay Thai or rolling in Jiu Jitsu. It not only makes me feel safe, but also makes me feel more confident in my training (there is more room for mistakes when wearing a mouthguard). Need more mouthguard options? Visit our ultimate guide to Mouthguards! This is the same type of mouth guard professional fighters wear. This mouth guard is custom fitted with professional grade ‘fast and easy to use’ impression kit. This kit includes paid postage to the dental lab. 100% perfect fit guaranteed, they take a mold of your teeth so that this mouth guard is sure to fit perfectly! Whether you’re a beginner getting started or a long time veteran in the ring, a solid and comfortable mouthpiece is a worthy investment! It’s important to note that having the awareness and knowledge of certain dangers will help lead to safer sparring sessions. Having the capability to recognize certain dangers during and after training sessions is also helpful when preventing serious injuries. It’s important to learn these type of habits while you’re still a beginner. Training Partner – It’s always important to find reliable sparring partners that could be trusted to not headhunt for a knockout. We bought this up earlier in this article, but it’s so important to be communicative with your sparring partner so you’re both on the same page. Let your partner know that you’re a beginner with a newer skillset! Light Sparring Sessions – It’s important to have sparring sessions where you and your training partner are throwing strikes with less than 50%, 25%, or even 10% power. This will actually be helpful in gaining technique, worry about power during your heavy bag training. Beginners should start light sparring at around 10-25%. Rest and Recovery – To me this is the most important habit on this list. Sparring too much, especially without adequate time to rest your body and mind between each session is very dangerous. This type of strenuous training will increase the likelihood of developing a concussion. Recovery is important as a beginner, know your limits! Now that you have all the equipment you need, it’s time to execute. Even if you’re been in a million fights as a kid, chances are that you’re still going to be nervous during your first sparring session. It’s okay to be nervous, actually it’s completely NORMAL to be nervous when you’re a beginner sparring for the first time. Hell, I still get nervous when sparring someone new! It’s completely normal to get nervous when you’re a beginner. Remember to relax and breathe during your sparring session, focus on your technique and not so much about the power of your strikes. The more you spar the easier it will be to stay relaxed and comfortable during the heat of battle. Breathing correctly will also help you with fatigue as well. The most important thing at the end of the day is to have fun. Whether you’re a sparring beginner or experienced fighter, the number one goal should be to improve your game and have fun doing it. Rome wasn’t conquered in a day, there will be many bumps and bruises (mentally AND physically) on your journey to becoming a master fighter. If you ever feel like giving up, remind yourself of why you started training Muay Thai, boxing, jiu jitsu, or whatever Martial Art it is you train. There has to be a reason you sacrifice so much time and energy into something that so many people are terrified of doing. It takes some guts to go out there and spar with another fighter, be proud that you’re apart of the 1% who have the courage to battle. Enjoy the learning process of trying something new. A journey in which you’ll make lifelong friends and create memories to last a lifetime.